Here’s something we hope becomes a thing for weddings: couples brewing their own beer and making their own wine for the reception. 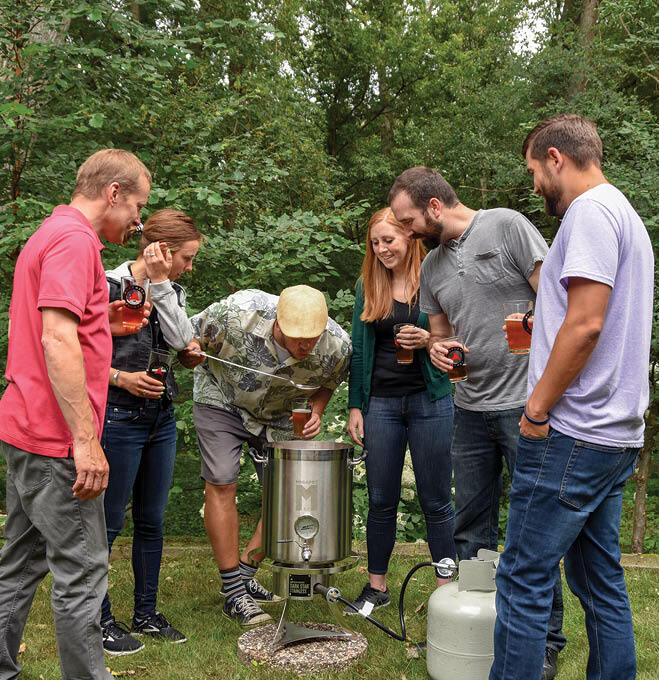 Northern Brewer (the largest homebrew supply company in the world, by the way) is making that BIY (brew it yourself) ambition a reality with on-site classes for couples who want to personalize more than just the playlist. Here’s how it works: Couples head to the store for either the Brew on Premise or Wine Making on Premise programs (or both). Brewing and wine-making pros guide you through the entire process, which takes about two and a half hours for beer and an hour for wine. You’ll then come back after the fermentation process (a couple weeks) to bottle the beer or wine you’ve made (at no additional cost). Then take home your 48 12-ounce bottles of beer and 28 to 30 750-ml bottles of wine. Costs are fairly comparable to more traditional drinks, coming in around $2.45 to $3.75 per bottle for craft beer and $7.67 to $10.95 per bottle for wine. Bonus: Put your crew to work at a unique bachelor/bachelorette party.